The Daily Telegraph is not doing well right now. It only sells 363,000 paid copies of the printed paper, having long since been overtaken by The Times. Despite being one of the earliest news providers in the UK to have a web presence – eTelegraph anyone? – it feels somehow left behind now. Titles like The Guardian and The Times have much better digital offerings. 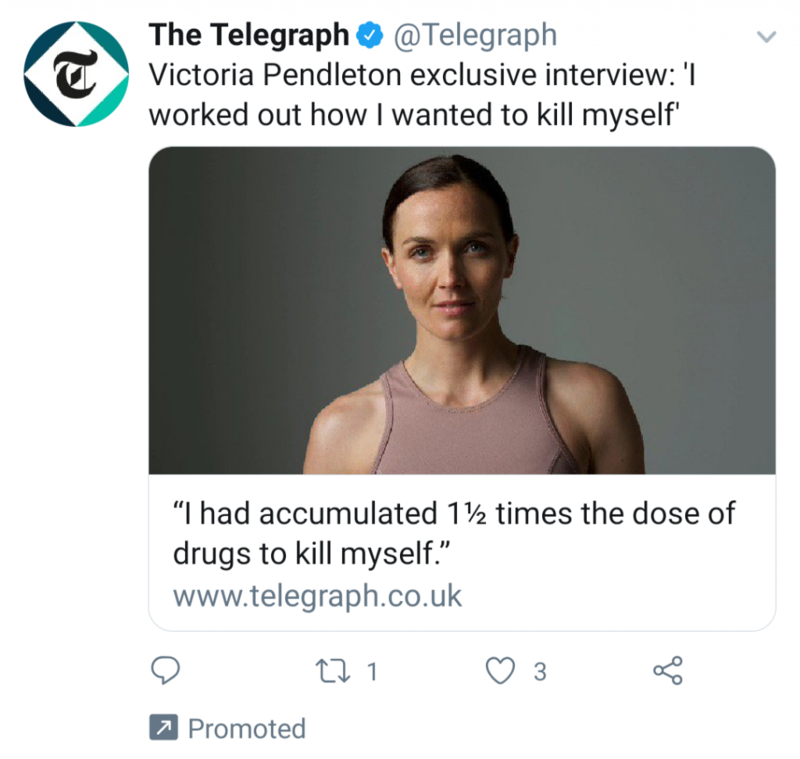 Recently the paper has launched a marketing campaign that I’ve particularly spotted on Twitter, and I have a number of problems with it. It started with this ad which I saw on a fairly regular basis for several days. This relates to an interview with the former Olympic cyclist that the Telegraph had published recently. The story was newsworthy, and undoubtedly important. But I really felt very uncomfortable seeing someone’s personal mental health issues being used blatantly for advertising. As I say, it’s absolutely right that mental health issues are addressed, and stories can absolutely provide useful resources for readers who might face similar issues. But making those stories clickbait adverts feels really uncomfortable. Then I began to see this ad. Oh good. Let’s start wading into the world of trans issues with our ads shall we? If there’s an angrier bit of the internet, I’ve yet to see it. But this is obviously a top clickbait advert. I’ve resisted and have no idea who is making what argument. 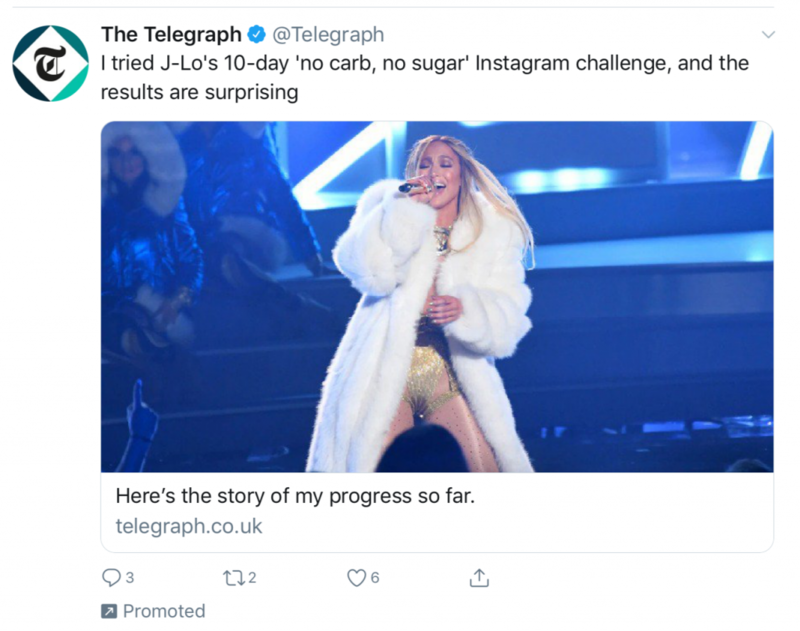 By now we’re moving away from more usual clickbait and straight into that “bottom of the internet” crap you find everywhere supplied by companies like Taboola. Low rent garbage indeed. Most recently the downward spiral continues with this frankly laughable advertisement. Is this the Daily Telegraph or Chat magazine? 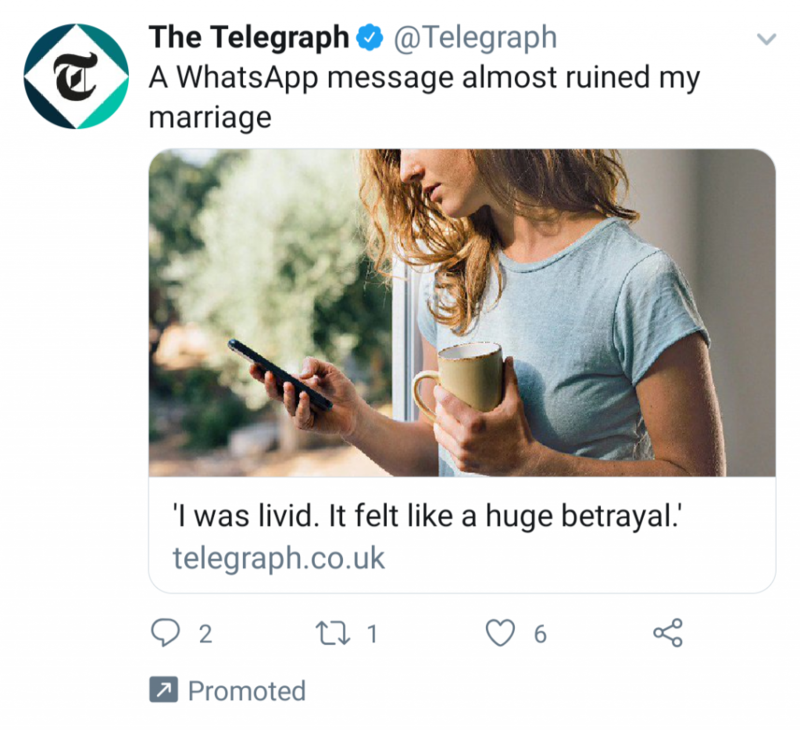 The stock photo of the woman drinking coffee and reading her phone isn’t quite as gaudy as those weekly magazines, but the story is lifted straight from one of their cover lines. The Telegraph has been a shadow of its former self for a long time. But this marketing campaign is just awful. Where are its news values? What is it actually trying to sell here? Considering that these are targeted ads, I’ve no idea who has done the targeting. 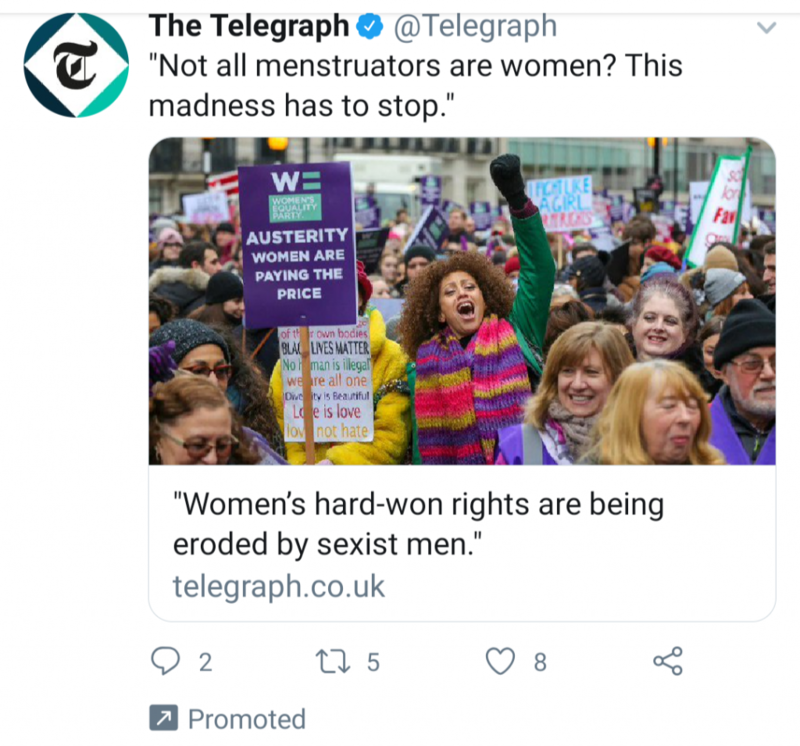 I mean, I might wonder if they were trying to target women with these ads, in which case they’ve missed massively in my case. Either way, an obnoxious campaign.